Hey Team Curly: Get the Perfect Tailgate Twist Out This Season! Yes, Curlies! It's Game Time! Can you hear it? The rustling of pompoms. That *boom boom clap, boom boom clap* making a big noise in the stadium seats. The pocket air horns sounding to alert the opposing team fans that victory is yours! The cheers and the tears of fellow fans, waving of team flags and branded towels. Can you smell it? The roasted peanuts. The buttery popcorn and pickles, freshly unbagged and bitten into. The crisp Fall air that's just right for pre-game celebrations outdoor sporting events. Can your curls hold up to the pressure? Even though this time of year is perfect for wearing lightweight jackets emblazoned with your favorite sports team's logo and sometimes heavyweight coats for those unexpected lows, your curls won't stand a chance against these cooler temperatures and chill factors without proper hydration and styling. That's why Creme of Nature sponsored this post so that you can learn how to protect your curls from the elements while still looking super, duper cute at all of those tailgate parties you go to this season. Keep reading to learn more about the benefits of Argan Oil from Morocco, curl enhancing cremes, and how to smooth down your edges for the perfectly styled Tailgate Twist Out! Pssst! You can WIN these styling tools and much more from Creme of Nature! The Tailgate Twist Out can be achieved by setting your curls into two-strand twists over night. 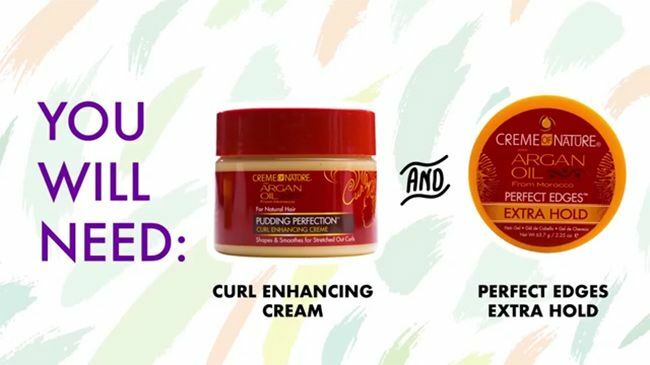 Make sure that your curls have been cleansed with Argan Pure-Licious Co-Wash and deep conditioned with the Moisturizing Milk Masque Repairing Deep Treatment prior to setting your twists with the Creme of Nature Pudding Perfection Curl Enhancing Creme. These products are recommended because each one contains Argan oil, one of the most beneficial oils for your natural hair. Argan oil is packed with Vitamin E, strengthens hair strands, and will repair damaged curls. Now that it's game day, you'll need to unravel your twists. Gently unravel your twists from the roots to the ends. Once you've fluffed them out to your liking, it's time to grab a soft bristle brush and your edge tamer. Perfect Edges will not only help you smooth your edges, it will keep them moisture-locked all day long! Apply Perfect Edges, aka your new bestie! To keep your edges and style in place, reach for your favorite hair accessories and head scarfs. Holding edges down is simple with the right styling tools. Don't forget to fluff those beautiful, bouncy twists! Dress up your look with a favorite accessory! Can't wait to make these products your very own? Excellent! Click on the product images below to purchase now. , an exclusive Walmart promotion for our textured and curly community. American Curl is the story of every woman. From sunrise to sunset, Monday to Sunday, the American Curl puts her best foot forward in everything that she does. Whether it's in the boardroom or in the nursery room, we know that with your busy schedule and life, it can be daunting to stop everything you're doing to care for your curls. In the following Style Seconds, brought to you by NaturallyCurly and Walmart and Creme of Nature, you'll see just how quickly your curls help you get your game face on for tailgating season! Take a look now! 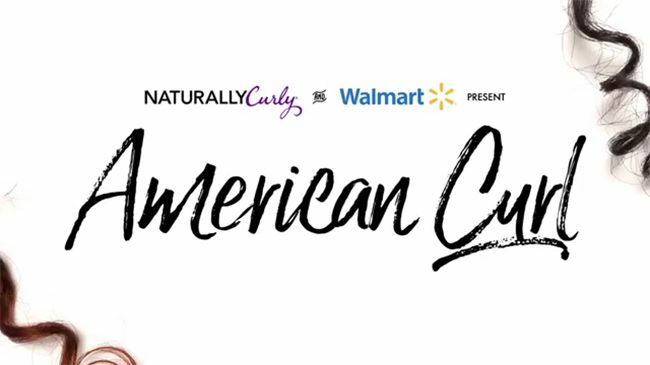 Enter the #AmericanCurl: Creme of Nature Giveaway now! We’ve partnered with Creme of Nature to give you their entire line of hair products with Argan Oil from Morocco for free when you tell us: Are you an #AmericanCurl? Tell us in the comments section below to WIN the entire line.